Situated in Saint Félicien, this spacious six bedroom holiday home is fantastically equipped for a relaxing holiday in the stunning region of Ardèche. It boasts a spacious kitchen. 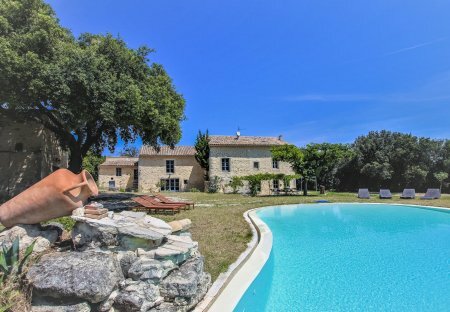 This stunning five bedroom holiday home is fantastically located on the outskirts of the enchanting city of Montélimar. It boasts a beautiful fresh and modern interior. This 4 bedroom house with private pool is located in Dieulefit and sleeps 10 people. It has WiFi. Wellness and relaxation in this beautiful holiday rental, charming and character stone country house with its beautiful heated pool without vis-à-vis. It is located 12km away from Montélimar. Situated to the south of the Ardeche, in the heights of the small town of Viviers, this cosy holiday home is a fantastic choice for a relaxing holiday.It boasts a Provencal style kitchen. 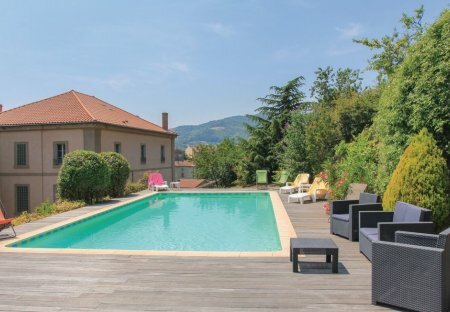 Located 25km from Montélimar, at the gates of the countryside and near the village center, this beautiful holiday home awaits you with its beautiful wooden pool. This charming four bedroom holiday home is wonderfully located in Solérieux, within the beautiful region of the Drôme Provençale. It is nestled amidst a large. This spacious holiday home with lots of charm is located in the green and very lovely region of the Monts du Beaujolais. Completely built with stone. Wonderfully located in the beautiful natural park of Monts de l'Ardèch, this delightful holiday home is nestled within a 2,000 m² garden. The villa boasts a spacious. This charming holiday home welcomes you in La Garde Adhémar and will be perfect for anyone looking for a quiet place to relax. This 3 bedroom house is located in Arâches-la-Frasse and sleeps 8 people. It has garage. This 3 bedroom house is located in Nyons and sleeps 9 people. This 2 bedroom house is located in Arâches-la-Frasse and sleeps 6 people. It has garage. This 4 bedroom house is located in Saint-Gervais-les-Bains Ouest and sleeps 8 people. It has WiFi, barbeque facilities and parking nearby. Situated between Dauphiné and Provence and close to the old feudal village of Chateauneuf Mazenc, this beautiful stone holiday home is nestled within a private and enclosed park.